Sib Cursor Editor 3.15 | Free eBooks Download - EBOOKEE! 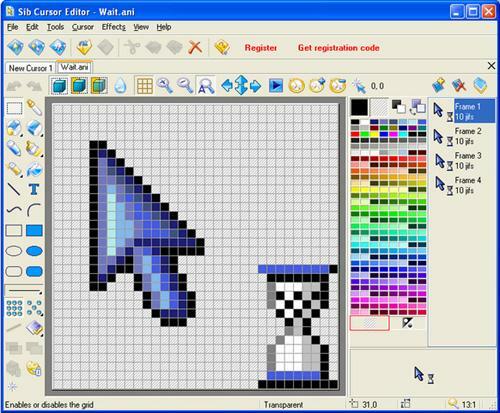 Its a powerful, easy to use cursor editor for editing and creating mouse pointers. Import .ico, .ani, .cur, .wmf, .emf, .bmp, .jpg, .jpeg, .gif, .png, .xpm, .xbm files into cursors. Export images to .cur, .bmp, .jpg, .gif, .png, .xbm, .xpm and .ico files. No comments for "Sib Cursor Editor 3.15".